The input field is a simple text input field. It's data is stored in a VARCHAR column in the database. The display width and database column length can be configured in the object class definition. To set the value of an input field, the string value needs to be passed to the setter. The password field is basically the same as the input field with hidden input characters. 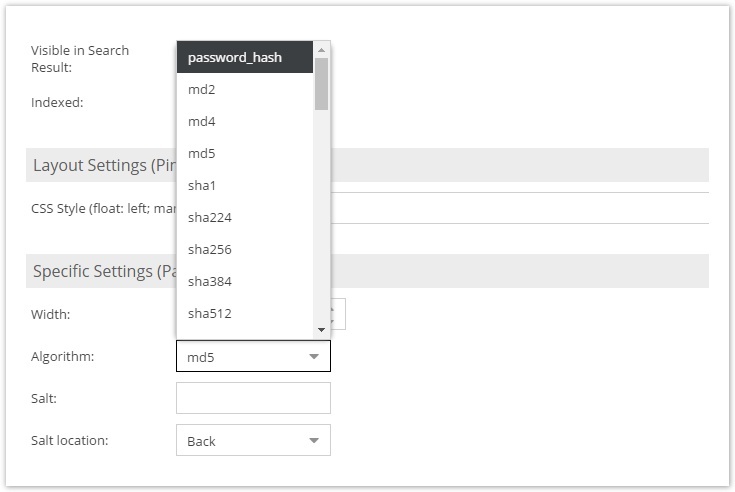 It's column length can not be changed, since passwords are always hashed using the selected algorithm. If a string shorter than 32 characters is passed to the setter, it is assumed that it is a plain text password, so Pimcore creates a Hash of that password and stores it in the database. If a string with 32 characters is passed to the setter, Pimcore assumes that a hash was given and stores the string without further hashing in the database. The maximum length of a plain text password is 30 characters. If password_hash is selected as algorithm, Pimcore checks with password_get_info() if given string is already hashed - and does so if not. We recommend using password_hash as algorithm. The textarea is an input widget for unformatted plain text. It is stored in a TEXT column in the database. Setting it's value works the same as for the input field. The width and height of the input widget can be configured in the object field definition. The WYSIWYG (What You See Is What You Get) input field is identical with the textarea field except for the fact that it's input widget allows formatting of text and can even hold images and links (references to assets and documents). If images and documents are used in a WYSIWYG widget, they create a dependency for the current object. To insert an image, assets can be dragged to a WYSIWYG widget. 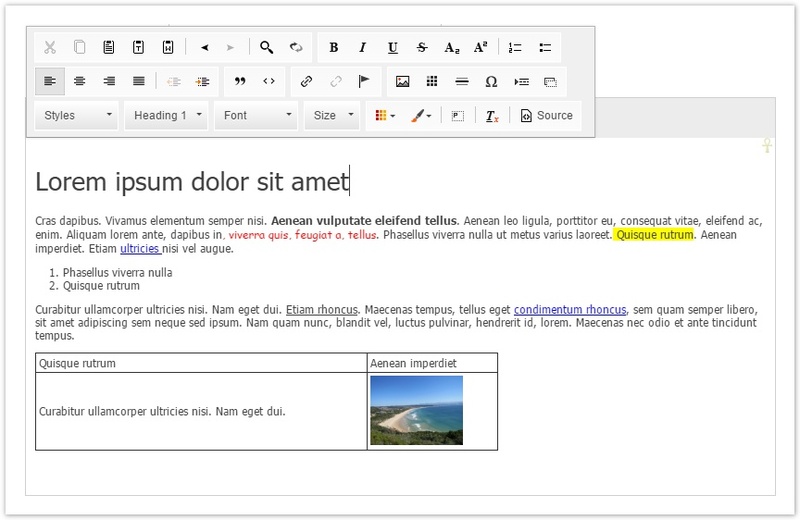 In order to create a link, a document needs to be dragged and dropped on selected text in the WYSIWYG widget. The text is stored as HTML. It's possible to pass a custom CKEditor config object to the wysiwyg editor. More examples and config options for the toolbar and toolbarGroups can be found at http://docs.ckeditor.com/#!/guide/dev_toolbar. Please refer to the CKeditor 4.0 Documentation. Quite similar to Quantity Value except that text values are allowed instead of the strict restriction to numeric values.